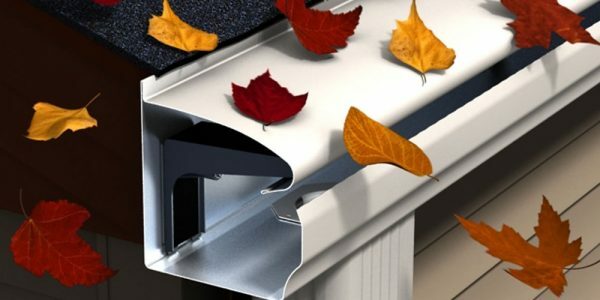 Tiny roof sand grit can not pass through the stainless steel mesh. 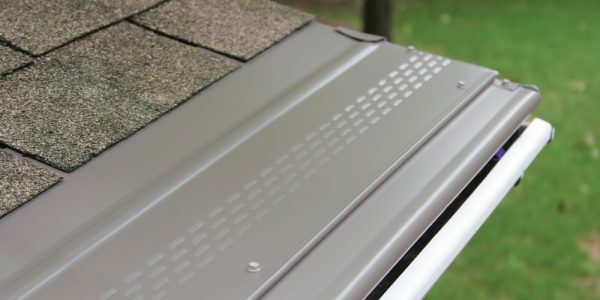 Side view of a gutter guard showing super strong, double sided adhesive foam tape. You have the option to also screw it. 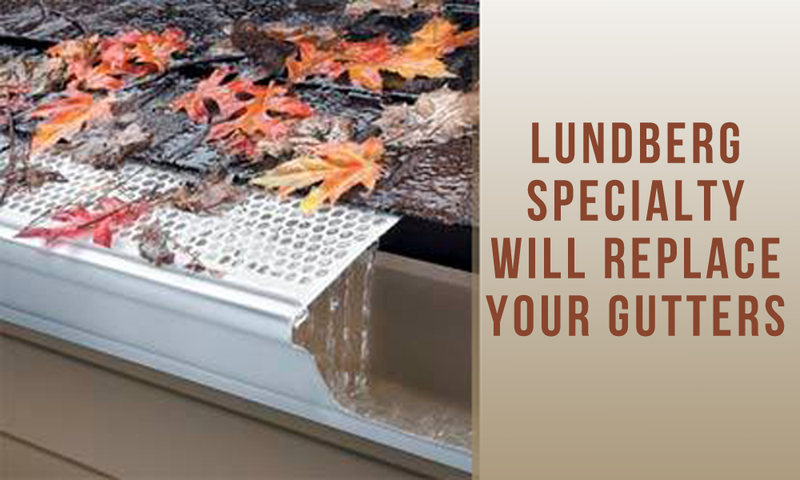 Talk to Lundberg Specialty of the advantages of each and the variances between different manufacturers. 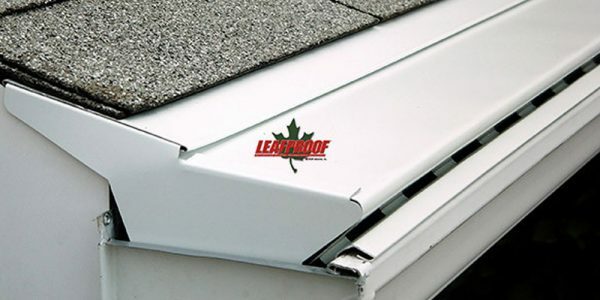 All gutters are troughs that collect rain running off a roof and channel it, with proper slopes, to downspouts that carry the rain water to the ground and away from your siding, windows, doors and foundation. 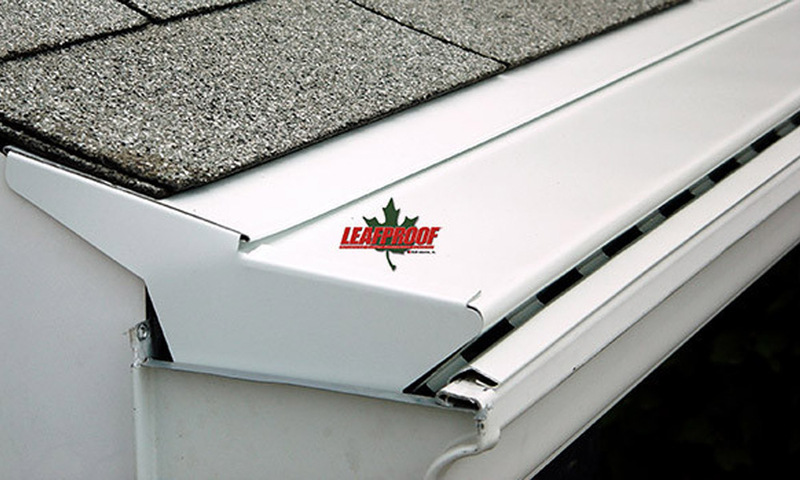 The most commonly used open gutters, should be regularly cleaned of leaves and debris in order to function properly. 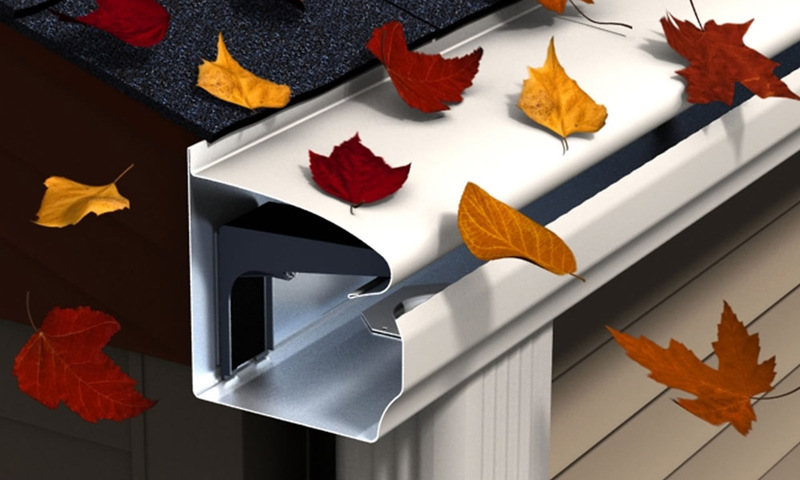 In the course of collecting water, open rain gutters also collect leaves, acorns, pine needles, and other debris which can cause clogs anywhere in the gutter itself or sometimes in the downspouts. 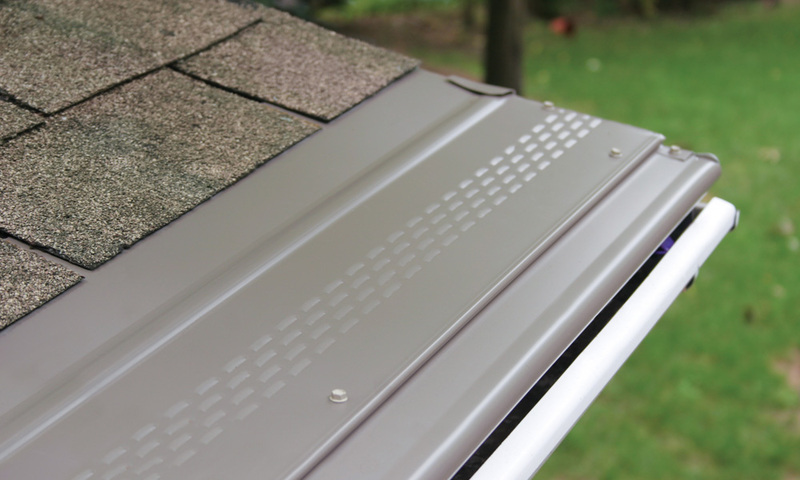 In dry conditions clogged gutters are a fire hazard. 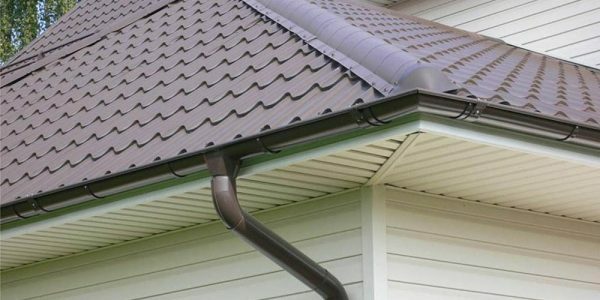 During heavy rains, clogged gutters and downspouts can cause rainwater to overflow, potentially causing substantial damage to your building, landscaping and basement. Loose debris will quickly begin to decompose, matting down and compressing into a solid sheet as it becomes damp, causing clogging. Accumulated debris is a fire hazard, and it is extremely bad for the roof, accelerating wear and backing water up under the shingles. 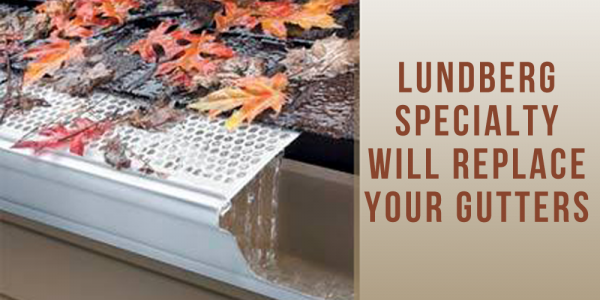 It can also create a solid bridge over the top that can send water cascading over the edge. When any of these problems occur, it may be time to replace. Average aluminum type lasts 20 – 30 yrs. Copper may last 50 yrs, and galvanized steel, less than 20. 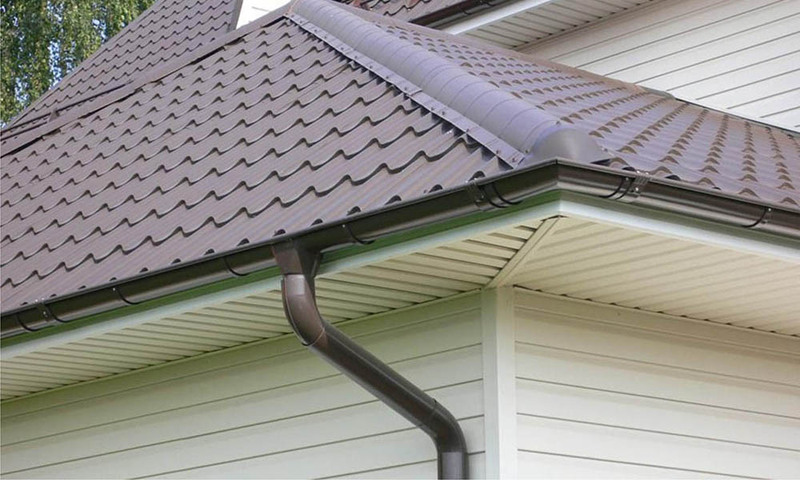 Lundberg Specialty will install any type of gutter replacement you desire.